to rebounding. That’s why I put a big focus on drills that I feel promote these characteristics in players – you’ll find out very quickly who the most competitive players are, and most of the time these guys will be even more important than the most talented ones. The NBA acronym officially stands for National Basketball Association, but among basketball circles it has a different connotation – No Boys Allowed. It’s a mans league, and those that are weak or faint of heart will be pushed out, of position and the league, in a very short time. That’s also what I call this drill when I’m coaching teenage boys. When I’m coaching ones younger than that or girls, I call it the more age and gender appropriate No Babies Allowed. It’s a very simple drill. Put three players of similar size and stature in the paint. The coach will be at the top of the key, with a ball in hand. The rules are as follows: when the coach shoots the ball, regardless of whether it goes in the hoop or not, it is immediately live. Each player will fight for the rebound, and try to score over both their opponents. 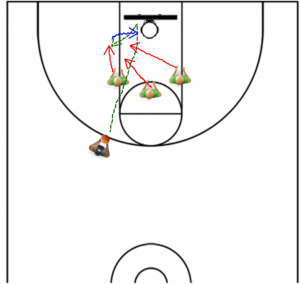 It’s first to three, and the only rules are no travelling or double dribbling, and if the ball bounces outside of the key, you pass it back to the coach and they shoot again. As the coach, you will call the fouls, but you want to let them play through here more than you might in another drill. At the highest levels I’ve coached, I call no fouls and the players police themselves – they understand if they foul a player deliberately, they’ll just return the favor and no one will be able to score. But for the younger players you want to take more control than that because of their maturity levels, and for safety concerns. 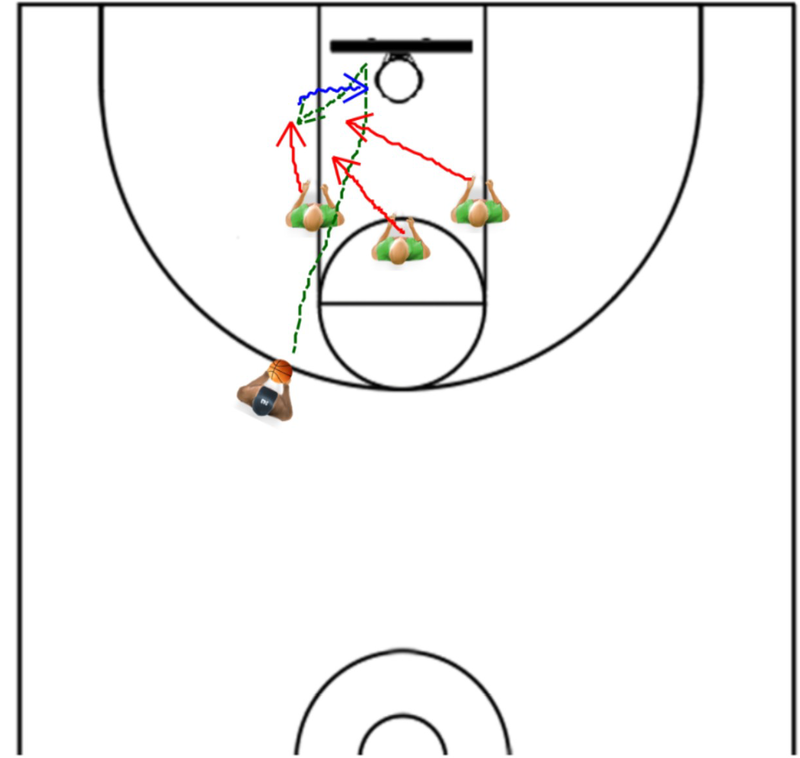 This drill is absolutely exhausting, so give them a long break after, but you can run a winner moves on tournament and find our pretty quickly who the best rebounders and inside finishers are on your team! Keep up the good work and one day, they might be able to put on a performance like Andrew Bynum’s 30 rebound demolition! And if you need more help developing your big men, take a look at these other great basketball drills!